The specially prepared Discovery family SUV will support the recipients of the 2017 Land Rover Bursary, administered by the Royal Geographical Society (with IBG). The ‘Water Diaries’ expedition will cross one of the driest countries on the planet to investigate how the population manages its precious water. 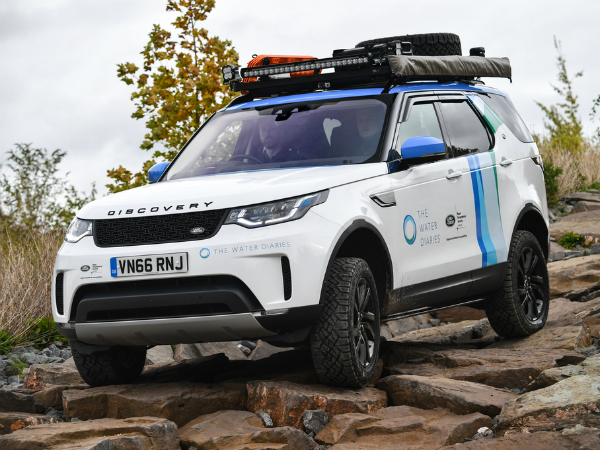 To guarantee the team’s lessons go ahead each week, Jaguar Land Rover’s Special Vehicle Operations (SVO) division prepared the unique Discovery - the first time the car has been used on the Land Rover Bursary expedition, which this year celebrates its 10th anniversary. Be sure to keep visiting the TeamTalk website for more on the trio's extraordinary journey.